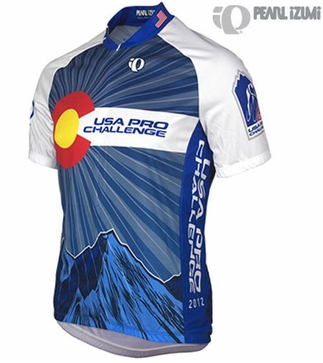 The USA Pro Cycling Challenge returns to Colorado in 3 weeks. Remember how much fun we had last year at the USA Pro Cycling Challenge? Well .... it's back. Time again to talk logistics for attending the race. Pedal Dancer is going to provide fans with a HOW, WHEN, WHERE, WHO, AND WHY guide, plus a few extra surprises. To set a solid foundation, first in a series of posts will be WHERE. When do we need to be there as fans; here are some dates and times and general schedule to keep in mind while planning your trip to see the 2012 USA Pro Cycling Challenge in Colorado. Come by car, by bike, by foot, by public transportation - just come. The race is free to spectators, but you may buy VIP passes for the start and finish areas. Whether you attend a start or finish, arrive early to avoid parking hassles and to enjoy the numerous events surrounding the race. 103.3 miles/166.2 km up 119 to Peak to Peak Scenic Highway 72, down Hwy 7 to Lyons, south on 36 to Boulder, up Lefthand Canyon, up Lee Hill, into downtown and up Flagstaff. A 9.5 miles/15.3 km final exciting individual time trial through Denver, the state capital of Colorado. The course begins and ends at Civic Center Park and includes an “out and back” along 17th Avenue and a loop within City Park. Road closures are a key concern, detailed information may be found here regarding roads, direction of traffic halted, and times: http://www.cotrip.org/content/usapcc/ Once you are on the website, please select from the Stage tabs on the page to see the road closures affecting roads near each stage. I am so excited to be able to attend the race again this year. Having a race of this caliber in my backyard is still a "pinch me is this real" experience. I will be a happy member of the press again this year and plan to show up early in Durango to enjoy the press conference and citizens ride. I wish I could go to the team presentation, but the $200 price tag is a bit steep for me. I will see the Finish in Telluride, the Start in Montrose, be on Independence Pass with the fans for Stage 3, at the top of Beaver Creek for Stage 4, in the town of Breckenridge for the Start of Stage 6, and in either Golden or Boulder for Stage 6 (at this point I am leaning toward the fantastic friendly atmosphere in Golden, and finally at the exciting festive time trial in Denver (my hometown). I hope to see you out there - please say Hi to me and tell me your story of what you saw at the race. I learn from you.